By 2025, an estimated 1.8 billion people will live in areas plagued by water scarcity. Diseases from dirty water kill more people every year than all forms of violence, including war. 43% of those deaths are children under five years old. (Source: Charity Water). It’s not right! Engage your school in a shared global leadership experience. 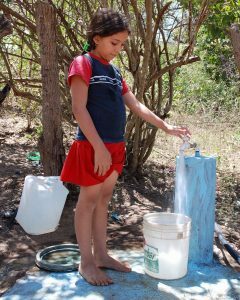 A community well is a game changer for the communities Change for Children works with in Nicaragua. A well costs $10,000 and provides hundreds of people with safe water for generations. By connecting with Change for Children, your students have the capacity, and incredible opportunity, to help others realize their fundamental human right to water! Why do we care about water? A list of water related vocabulary with definitions (PDF). 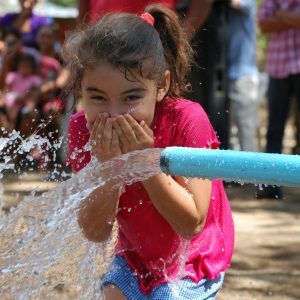 Journey to Nicaragua - see the impact and experience the work, the people and the stories of achieving water as a human right in communities across the northwest region of Nicaragua. Produced by CFCA partner, Centro Humboldt. In addition to the awesome task of providing potable water systems and clean water to over 100,000 people to date, this project fosters a holistic vision of environmental protection and preservation, promotes access to water as a human right, and was awarded the UN Equator Prize for advancing innovative solutions for people, nature and resilient communities. World Water Day means the World to these Women! Just Add Water. Just in time for Chirstmas.